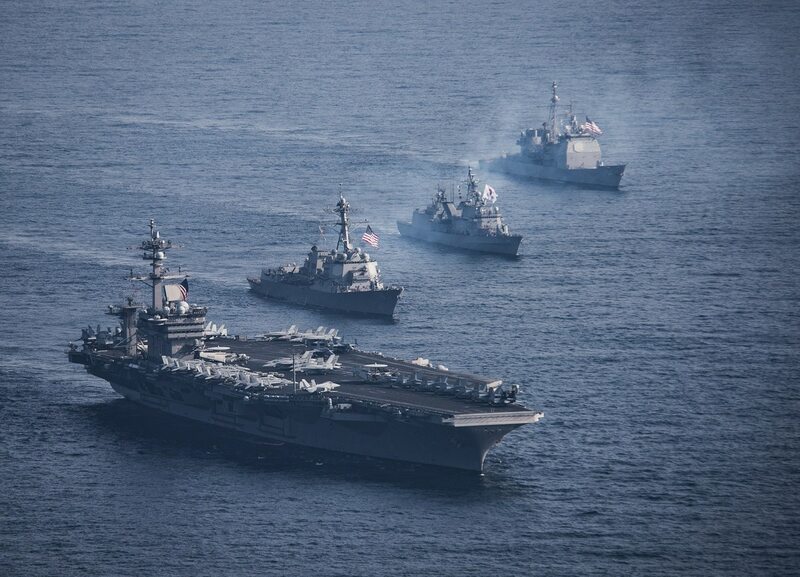 WASHINGTON ― U.S. President Donald Trump is calling on the military to suspend joint military exercises with treaty ally South Korea on the eve of the confirmation hearing for his prospective ambassador to the country, retired Adm. Harry Harris, who was a staunch supporter of the exercises as head of U.S. Pacific Command. In interviews after his summit with North Korean leader Kim Jong Un, Trump told reporters that while the two countries are negotiating, continuing exercises might be unhelpful. “Under the circumstances, we are negotiating a comprehensive and complete deal [on denuclearization]. It is inappropriate to have war games,” he told reporters. U.S. and South Korean military drills will be on pause until at least March 18. But why the change? But Harris, who is set to testify before the Senate Foreign Relations Committee on Thursday, oversaw regular exercises between South Korean and U.S. military forces and regularly defended them in the face of criticism from North Korea, which considers the drills provocative. “We are obliged to defend South Korea by treaty,” Harris told the House Armed Services Committee last year. “They have a very strong and capable military, as we do. But if we’re going to defend them or if we’re going to fight with them on the peninsula, then we have to be able to integrate with their military. ... We have to understand their military and vice versa. The question of Trump’s suspension of military drills with South Korea will almost certainly come up in Harris’ hearing. Meanwhile, the Pentagon plans to restructure and scale back some upcoming training, but insists joint training will continue, the Washington Examiner reported Tuesday, citing Pentagon officials.